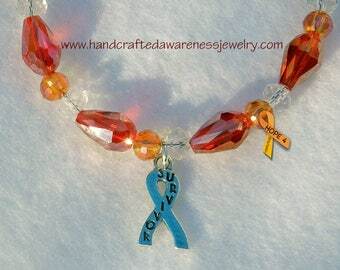 This 7.5" bracelet is designed using Ceramic Beads along with Czech Crystals, an orange Crystal ribbon and a toggle. 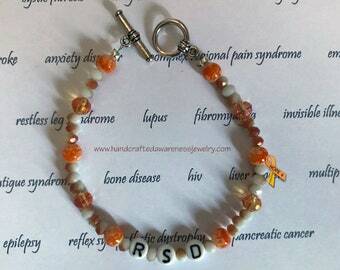 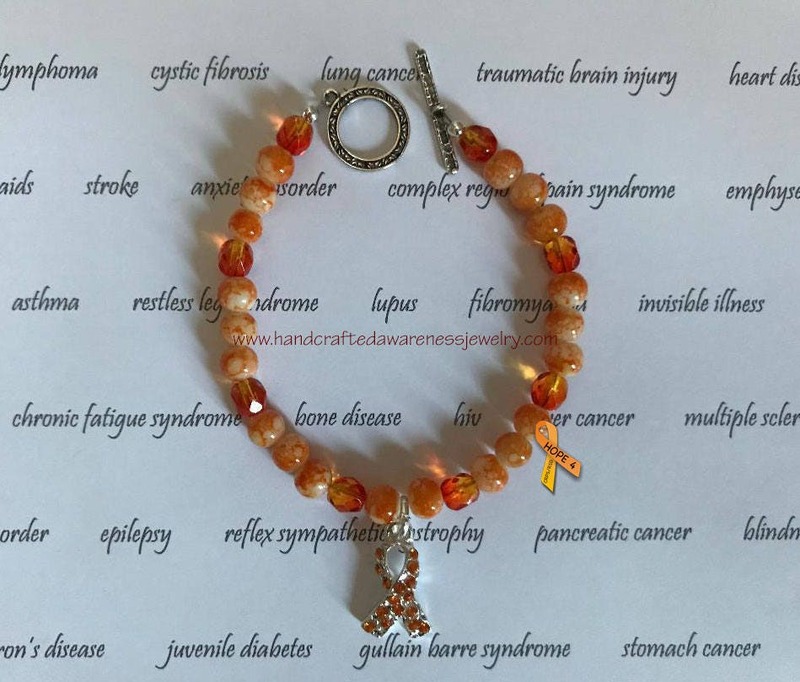 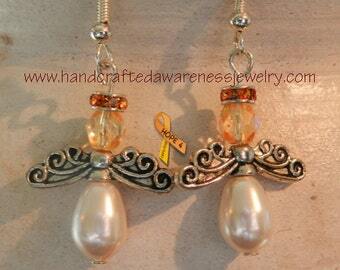 This bracelet will help spread your orange ribbon awareness with its orange Crystal ribbon. 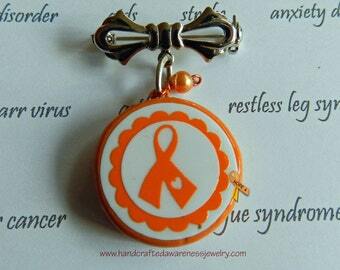 If you would like the orange ribbon charm changed to a different orange ribbon charm, please inquire.